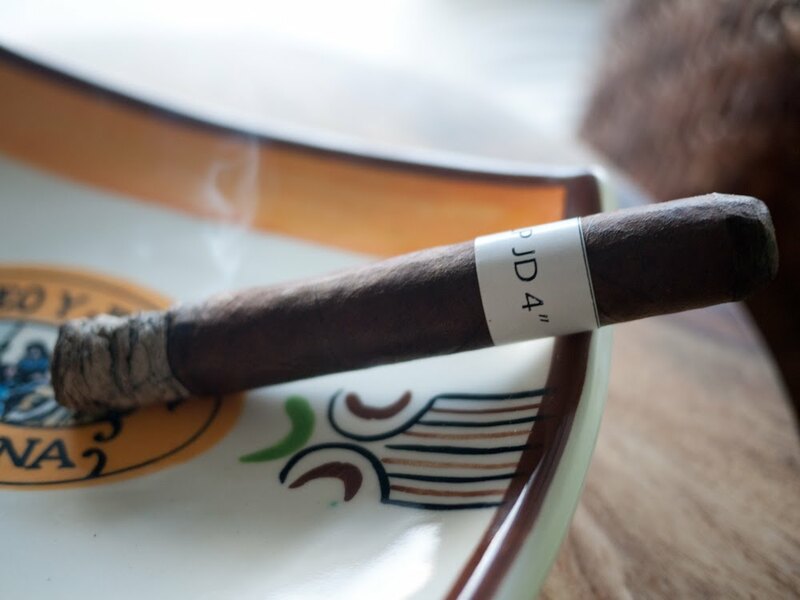 Thursday September 9th, 2010 was the official release and launch party date of the much anticipated Liga Privada JD #4. Held at Casa de Monticristo in Chicago, the party was attended by Jonathan Drew (@jonathandrew1 on twitter) and a few others from the Drew Estate company. I was unable to attend the party this time, but my partners at Cigar Explorer were there in full force and kindly brought back one of these sticks for me to review. 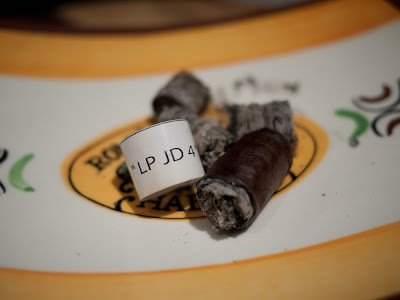 From what I am told, the LP JD#4 uses the same wrapper as the LP T52 but an entirely different binder and filler. The make up of the stick was not fully disclosed at the party and a lot of it seems to still be a "secret" that has not been made public (or even leaked). 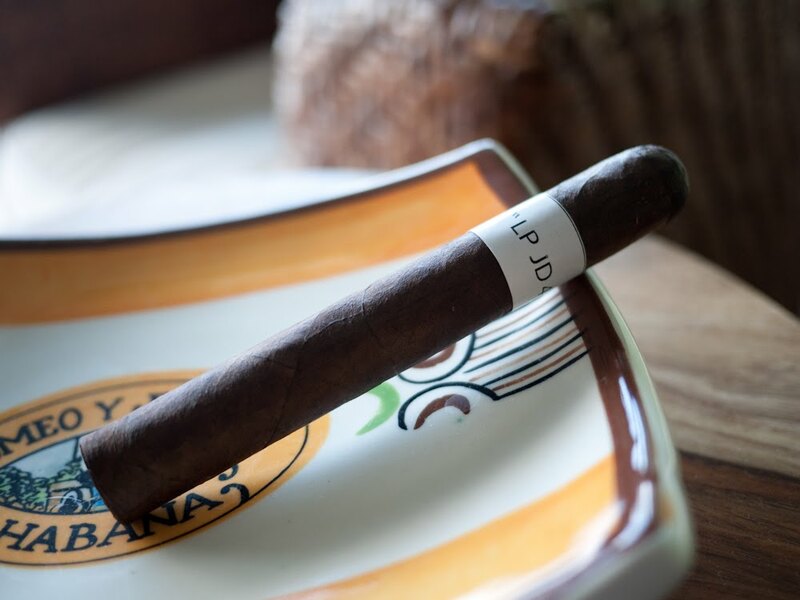 Personally, I have not been overly impressed with the Liga line of cigars, but I am always excited to try any new blend from a top manufacturer in the business. Let's see how the LP JD#4 burns. When first inspecting my LP JD#4 I noticed immediately how big the triple cap was on this stick. Almost all of the cigars I smoke these days seem to be triple-capped, but none have caps this big. I wonder if people will hack off close to a quarter inch of this vitola when cutting it because of this. This should go without saying, but DON'T DO IT! The wrapper was a nice dark brown with a lot of tooth and some decently-sized veins running around the middle of the leaf. The pre-lit aroma coming off the wrapper was very strong and had a perfume-y scent to it that reminded me of the Drew Estate Acid cigars. 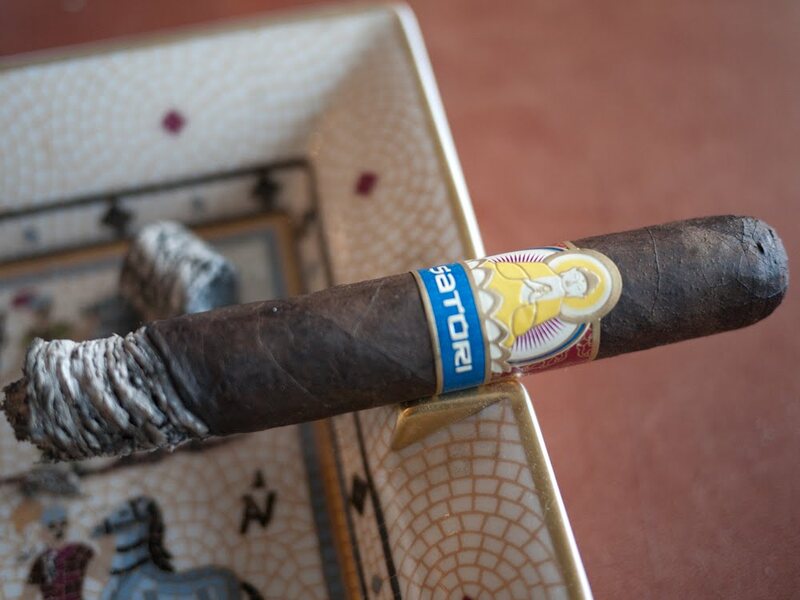 Don't let that scare you away because this is not a flavored cigar; when taking a whiff of the open foot, the aroma was much more normal and tobacco scented. The cold draw was nice, free, and tasted of mixture of cedar notes and sweet tobacco flavors. My LP JD#4 opened up with almost an obscene amount of smoke, both off the draw and while resting. I know I have said a lot of cigars I have smoked recently have large volumes of smoke, but I am sure this is the biggest. 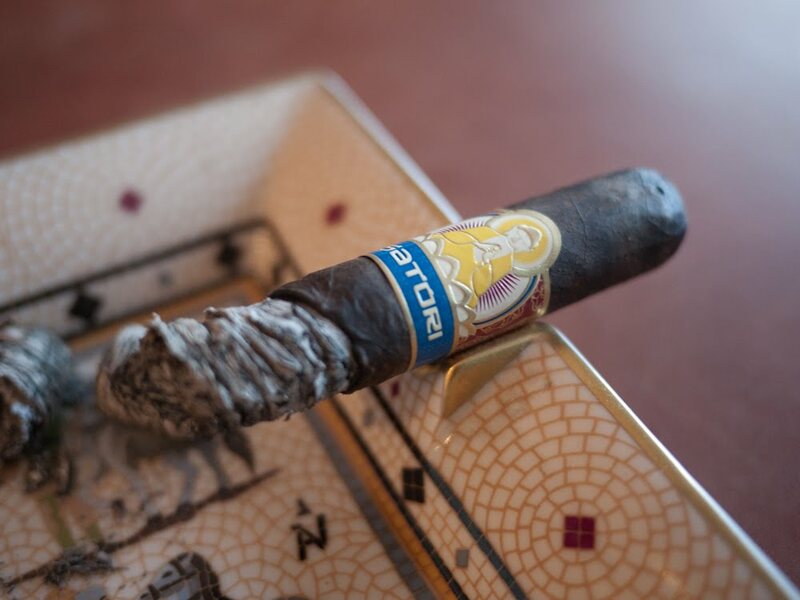 The initial flavor I got from the stick was a very muted pepper note and I actually felt them smoke more than tasted it. By that, I mean the taste buds on my tongue tingled a lot on each draw and my mouth salivated quite a bit, but as far as flavor goes, there was not much to write about. About an inch into the stick, I picked up some cedar tastes to mix with the pepper, but again, these were very muted and secondary to the physical reaction my palate was having. The construction/burn on the stick was perfect and the ash held strong for about an inch before I knocked it easily into the ashtray. The body was in the medium to full range. Starting into the second third, those minor flavors started to change up, producing more sweetness in the smoke, as opposed to the pepper from the first third. I was still picking up some cedar hits on the front, which mixed nicely with the sweetness, but the strength of the flavors were still very weak. What was not, however, was the body of the stick. Right from the beginning of the second third, the power of the nicotine kick this cigar was putting off became very apparent. It wasn't extremely uncomfortable or sickening, but it did have me waiting between puffs an extra minute or two that I wouldn't normally take. Again, the construction was dead on, and the ash was solid and never worried me that I could be wearing it if I was not careful. Toward the end of the second third, the flavor on the finish of the stick delivered some coffee notes. The final third of my LP JD#4 finally brought that long, lost stronger flavor, which had been missing up to this point. The coffee taste that ended the second third were now dominate, not only on the finish, but also on the front. 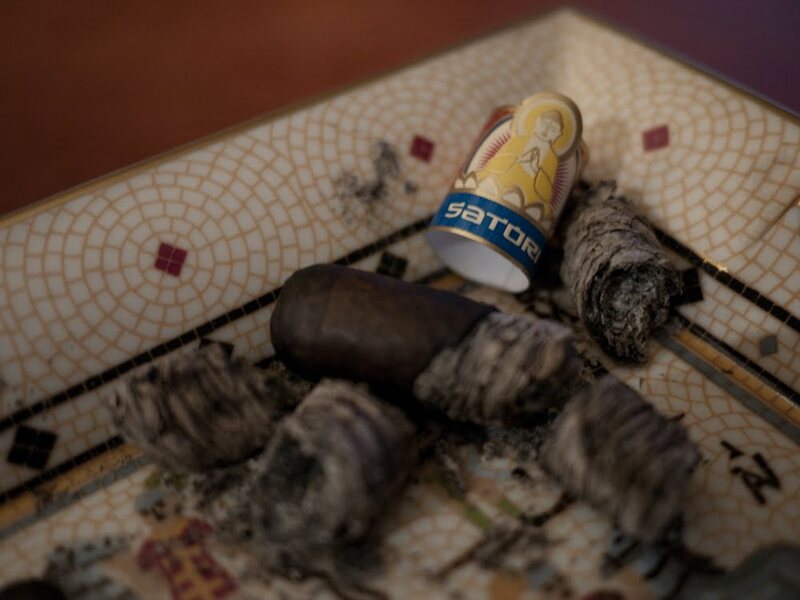 I have to say this was the most enjoyable and exciting part of this cigar for me. Truth be told: If this final third had continued in the same manner as the first two, I would have been very disappointed. Near the nub some of the pepper flavors reappeared, but only for a handful of draws before the cigar had to be put down. The body was way into the full range and I was glad I ate a big beefy dinner before I smoked this stick. 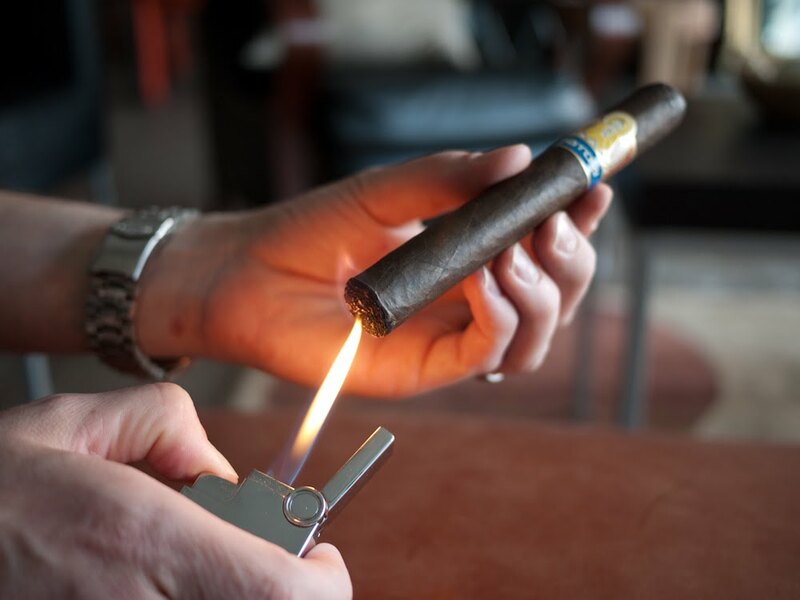 I never had to relight this cigar; the burn/draw were perfect the whole way so A+ for construction. 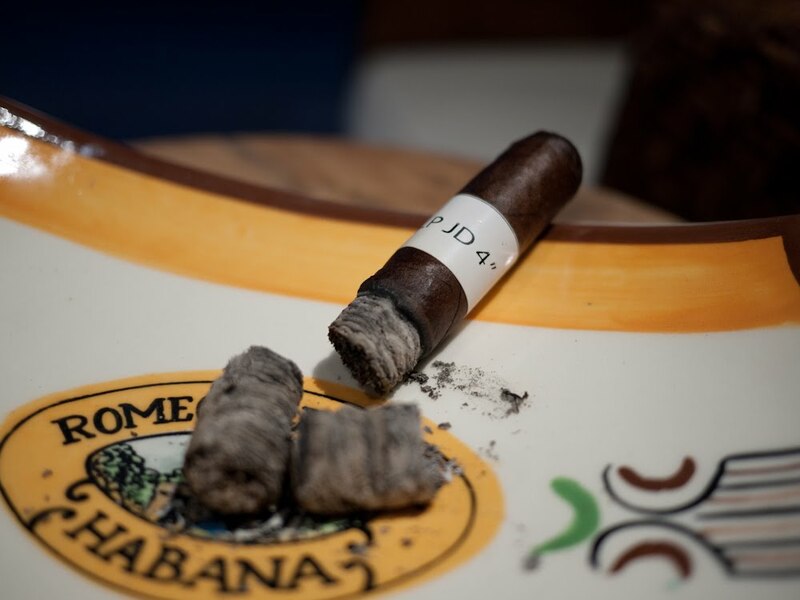 My final thoughts on the Liga Privada JD#4? Overall this was a decent cigar, but far from anything to write home about. This stick, in my opinion, is better than the T52 and the #9 from LP, but not as good as the Flying Pig. I wish the first and second third had produced as strong a flavor as the final third, but it just wasn't there for me. Myself not being the biggest LP fan, I'm sure there are others that will call me crazy, and this will be on the money for them. I've still not tried the Dirty Rat, so maybe that will be the gem in the LP line for me. Would I buy it again? This would depend on the price. If I'm not mistaken, these are not currently for sale and only come as a gift when you buy other boxes of Liga Privada cigars. If this stick falls in line comparatively with the others from LP, I think I would pass on buying more. Would I buy a box? See above comments. Any idea when these will be released to retailers? I just got my hands on some dirty rats and they amazing! Can't wait to try this. I have no idea when/if they plan to release these. I think if you buy a box of dirty rats from Casa de Monticristo they will throw some of these in though. I have added some new feeds to my list and yours is one of them. I'm very surprised to see you don't like the Liga line that much. I do agree, everyone obviously has different tastes, but as far as look, construction and burn goes..to me Liga is doing it as good or better than anyone. And yes, the rat is an awesome stick, only held back by its crazy price.